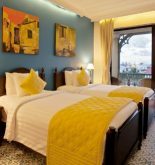 Golden Dragon Hoi An Hotel is merely distant Assembly Hall of the Chaozhou Chinese Congregation 900 meters. 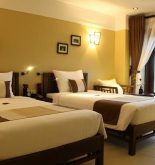 It provides classic accommodation (Vietnamese style) where has the outdoor swimming pool and free wifi. All of rooms of hotel are equipped the private balcony overlooks the view of garden especially they are attached to air conditioning. Besides, they are added the equipment for making tea or coffee, seating area and mini bar. Its private bathrooms come with luxurious bathrobe. Tourists of Hotel Golden Dragon can rent free bikes as well as park free. 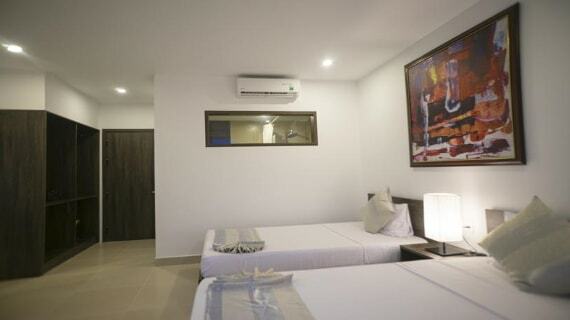 In addition, tourists are able to enjoy a cup of coffee while relaxing in the sun terrace even hotel also has 24 hour front desk and onside gift shop. This modern building is located at a center position which is distant Hoi An Museum of History & Culture as well as Hainan Assembly Hall 1 km. What is more, it is distant Da Nang international airport 23 km so the meeting and seeing off tourist service at hotel or airport can be arranged with an extra charge. Tourists are able to relax with a glass of cocktail or beer at bar. The on site restaurant serves Asian and Western cuisine. Address: Ly Thuong Kiet St, Cam Chau ward, Hoi An, Quang Nam, Vietnam. This information has been supplied by Golden Dragon Hotel.